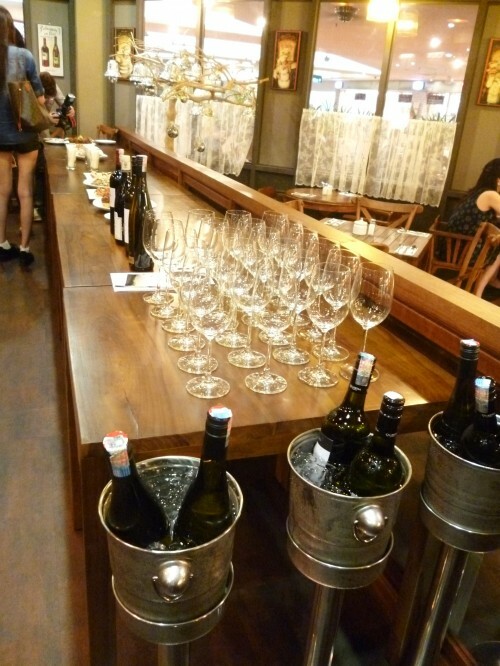 Been to quite a few wine dinners n tastings over d years. The most recent one was different. 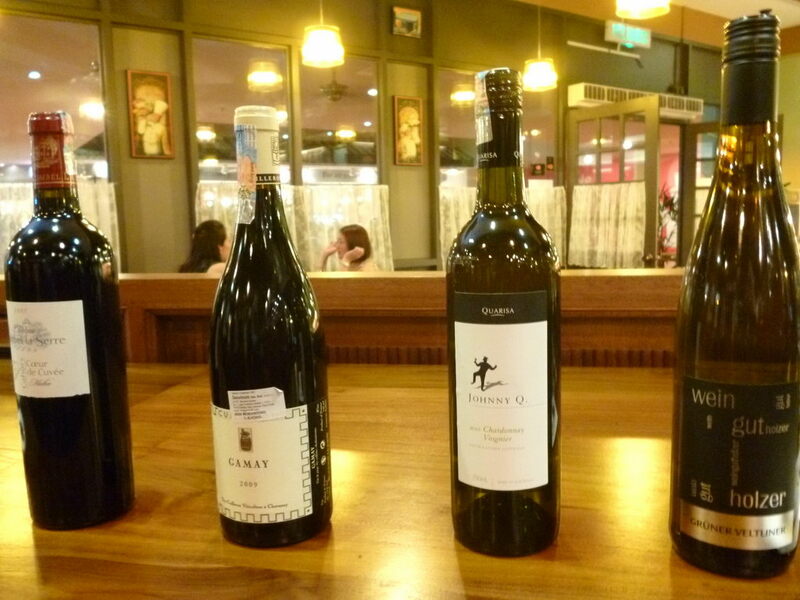 There were only four wines, and they were pretty much out in the left-field, as far as taste is concerned. 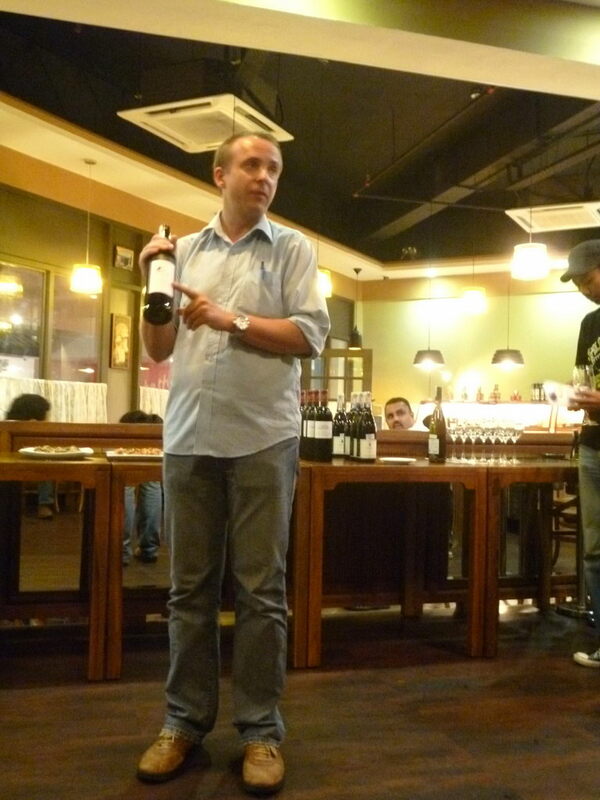 A sommelier, Bernd Eisermann, lead us through the tasting, starting with the whites of course. 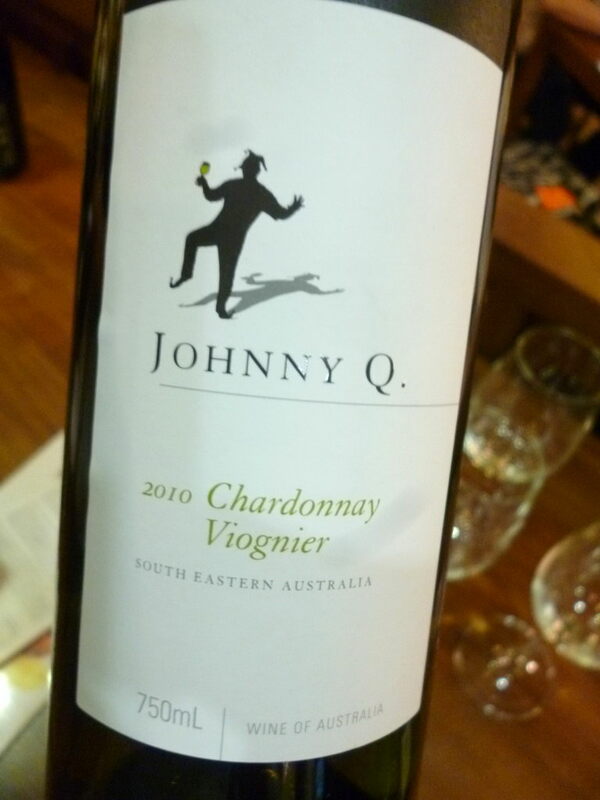 Johnny Q (12.5%, $150) from the Quarisa winery in Southeastern Australia is a chardonnay, with some viognier grape in da mix, a strong varietal i havent tried before. I found a very floral bouquet. And then thought… it smells better than it tastes. I got a lot of acidity. Long finish. My friend liked it tho. Weirdo. The next white was an Austrian, Gut Holzer (13%, $150). The grape – gruner veltliner. It’s Austria’s own grape variety, and it’s known to be a food-drinking wine, with little making it out of Austria alive. I got a nose of chardonnay-ish floral. On the sip, i found in-your-face honey notes, but immediately, dryness. Weird. And then a long, almost-bitter finish. Didnt know what to make of it. So had two more glasses. The third vino was a red, Yves Cuilleron’s (France) Gamay (13%, $180). 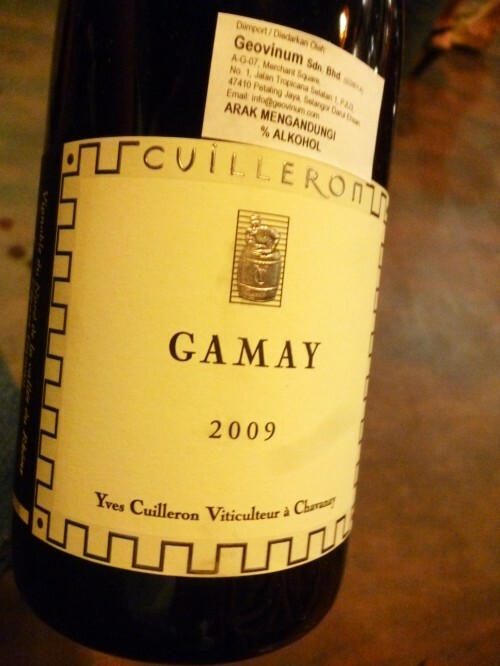 The gamay grape is from the Beaujolais region. I found the wine dry, a lil fruity, and a lil bland. 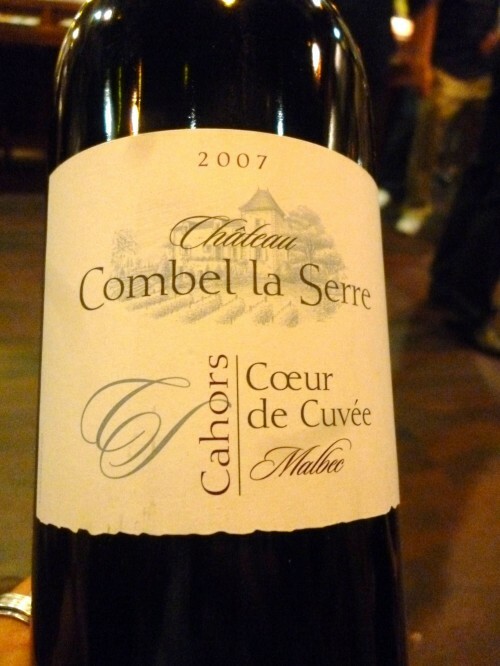 Then we had a malbec, not from Argentina as is the norm, but France, Combel la Serre (12.5%, $180). This guy gave me a whiff of fruit, esp raspberry. It tasted balanced and easy-to-drink, but too bland for me. I dunno, maybe my palette was on leave dat nite. Or the wines probably need some gettin used to. The second or third glass tends to be better. But the first sip? Not good. Everybody seemed to react differently to all four wines. I basically didnt enjoy them all, but others did, finding different nuances from me. Am not sure if others felt the bitterness of the gruner veltliner grape, which wine drinkers are calling the gru vee grape. Haha. The enjoyment for me was definitely trying different styles of wines from different producers. 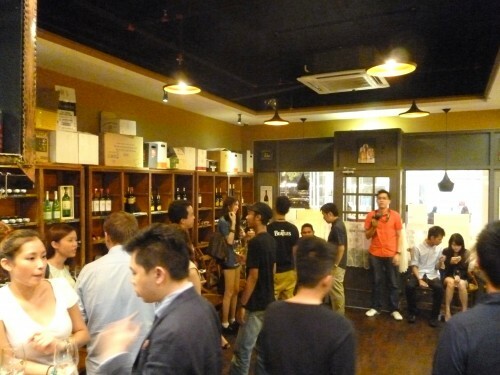 This entry was posted in ~ Bars / Clubs / Restaurants ~, ~ Wine, tuak & champy ~ and tagged new mall, new restaurant, wine session by Deep. Bookmark the permalink. 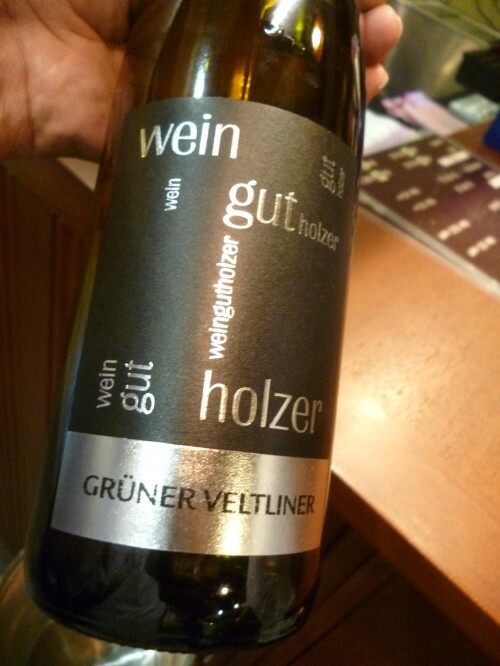 I cannot imagine gruner veltliner tastes bitter or chardonnay viognier with acidity. Did you eat sweet stuffs before the tasting?